There will be no blog today as I am travelling most of it (and a bit of yesterday) on my way to a mission in Almaty, Kazakhstan. If you have been sending in comments then please excuse the delay in my moderation. They will be made public as soon as I can. Normal transmission – that is, the next real blog should be posted sometime Wednesday, October 20 (Eastern Australian Time) but if I get a connection in Dubai then I have plenty to write about and it might come earlier. Almaty is 6 hours behind Sydney and Dubai is 8 hours behind. 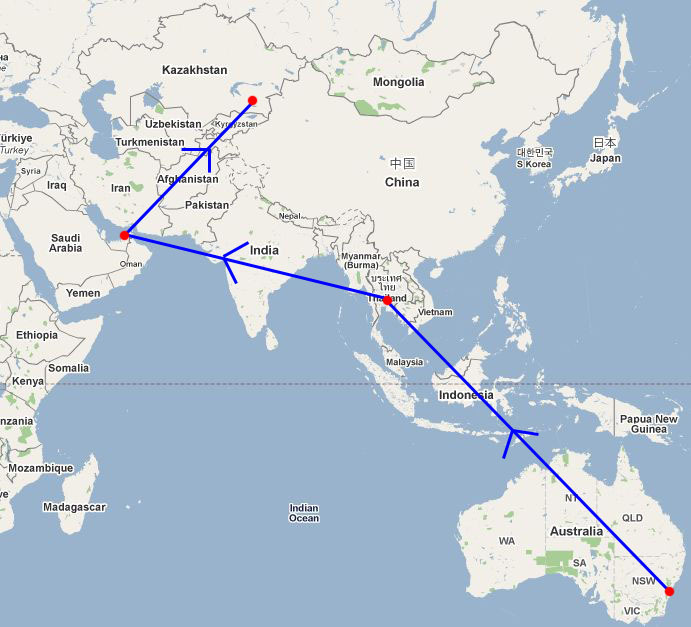 Until then imagine trying to get to Almaty from Sydney – it is not easy because the connections are dreadful and the old Soviet-style VISA form is something to behold (and attempt to fill in). Further, all VISA transactions etc are in hard US dollars presumably to get foreign reserves. Anyway, I am sure I will have a lot to report including photos.